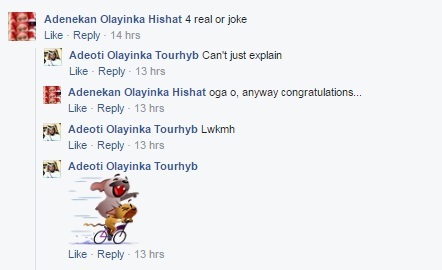 "OMG! 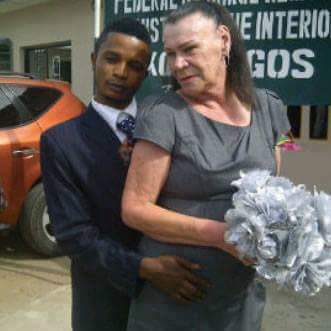 Love, Lust Or Recession? " 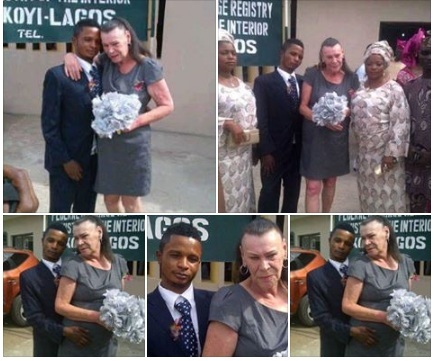 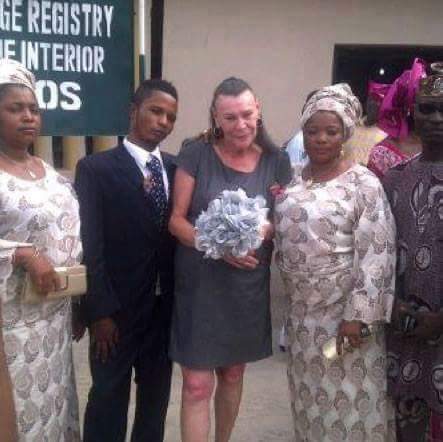 The pics above was shared by a Facebook user, it shows a young black man getting married to an older white woman. 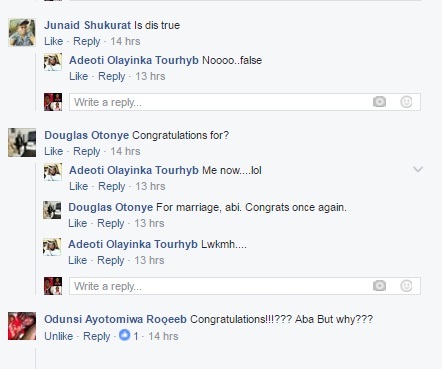 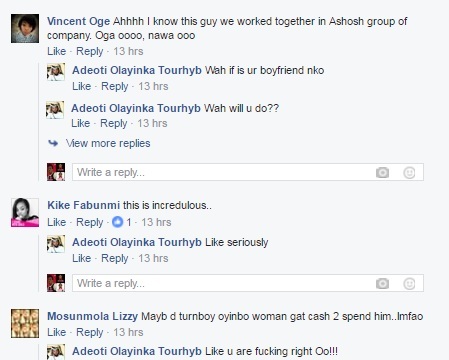 Reactions from various social media users is mixed,why some believed it is love, some termed it lust and a hilarious post said it is a result of economic recession, as young guys of tkhese days can involve themselves in anything legal or illegal as long as it pays the bills and put food on their table.